This week at Take a Word the theme is SILHOUETTE. Silhouettes: Dover, background: my photo; texture and overlay: Pareeerica and Buzillo Stock. I love the colouring of the silhouettes. Nice art work. Wonderful image, i like the background ! This is like icons in church; beautiful! 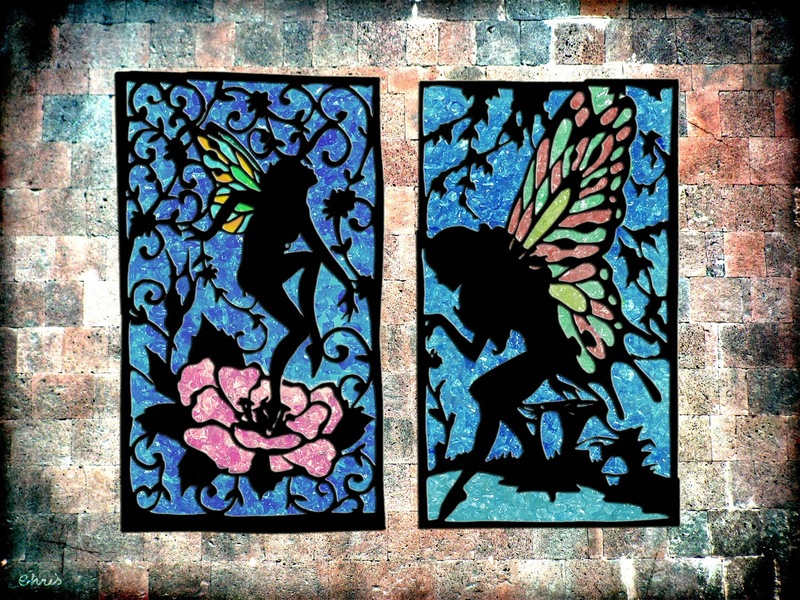 I love your fairy windows they are just beautiful. Beautiful images and background for the silhouettes. Beautifully crafted, Chris. Love it. Gorgeous stained glass windows effect. This is elegant and beautiful, Chris.